Left: Both volumes of the 1964 original German version, translated by Helmut Riethmüller, hardbound with dust jacket; side by side with the Irish version (see below). 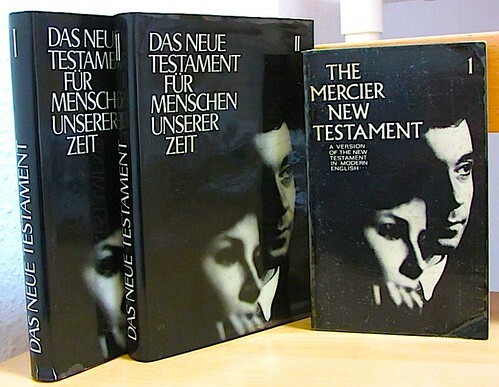 The German title translates »The New Testament for People of our Time«. This German New Testament was published in 2 volumes. 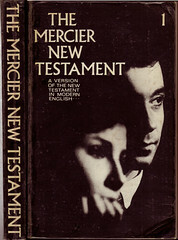 An imprimatured Roman–Catholic version (H. Riethmüller was a Protestant) came out in 1966. The English version was obviously never completed as only vol. I (Gospels) saw the light of publication. 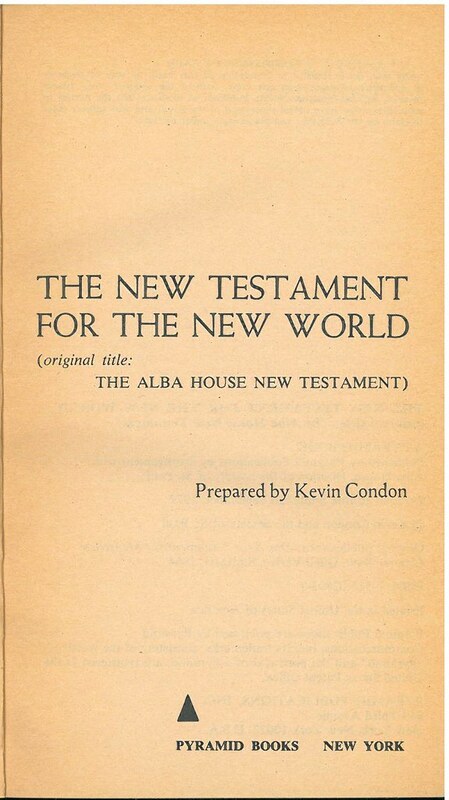 Click here for sample verses from the version by Kevin Condon. Comments: Softcover octavo, sewn binding; 384 pp; Scripture text in single column paragraph–wise with headings. Chapter and verse numbering in the margin. No further extras. 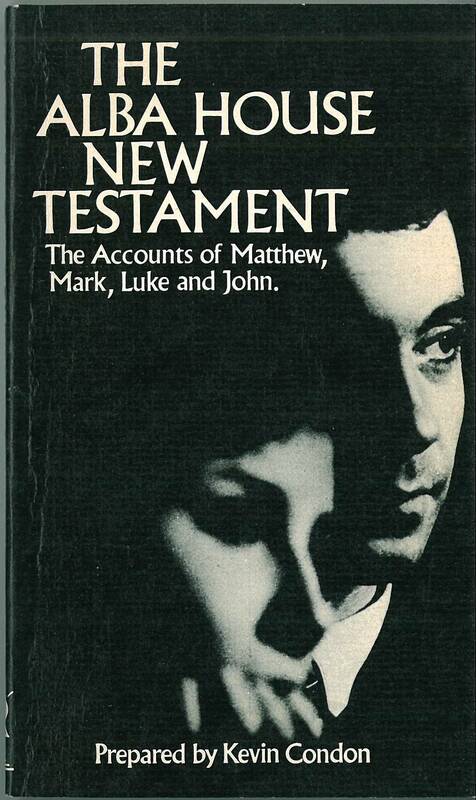 Source text: „a fresh translation from the Greek“ according to a critical one, probably the 1° UBS NT Graece (1966), as the longer Mark– ending (16:9–20) and the story of the aldulterous woman (John 7:53–8:11) are put in parenthesis. The b&w photographs are, though very similar, not adopted from the German original, but selected especially for this version. 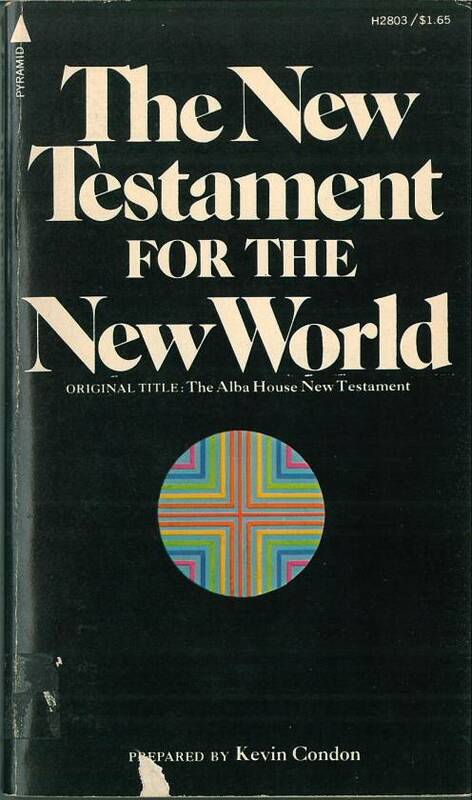 Title: The Alba House New Testament. 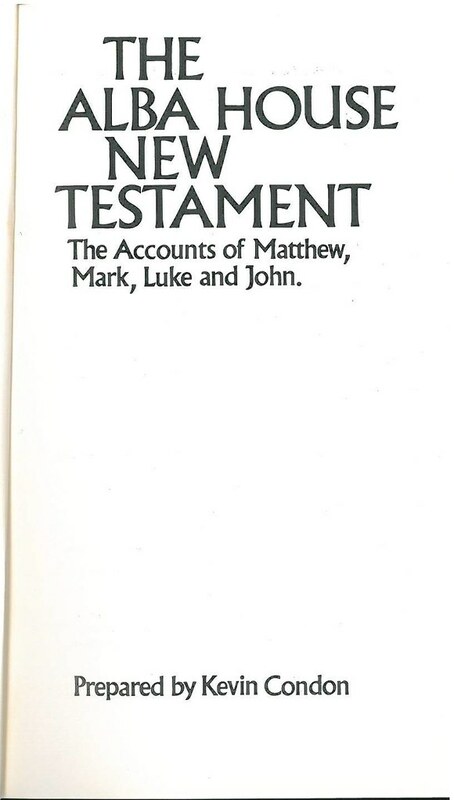 The Accounts of Matthew, Mark, Luke and John. Prepared by Kevin Condon. References: Chamberlin 622-6, Taliaferro CN00160.